October 6, 2013 - September was a blur, but at some point, there was a trip to Walgreens and a surprise in the toy aisle! 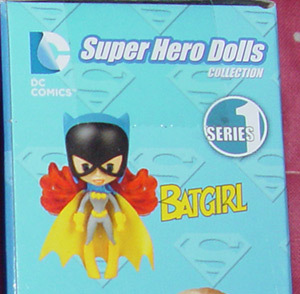 Not only did they have McFarlane's 4th series of The Walking Dead action figures (tv versions), including the exclusive Rick Grimes figure, but they also had some oddly cute DC Super Hero Dolls. 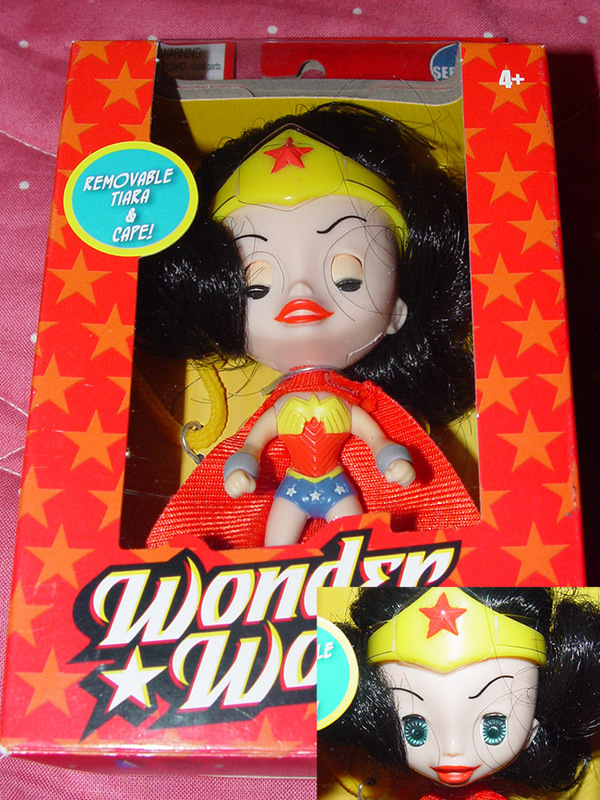 Wonder Woman has a removable tiara, removable cloth cape, and a lasso. Catwoman has a removable mask, whip, and goggles. 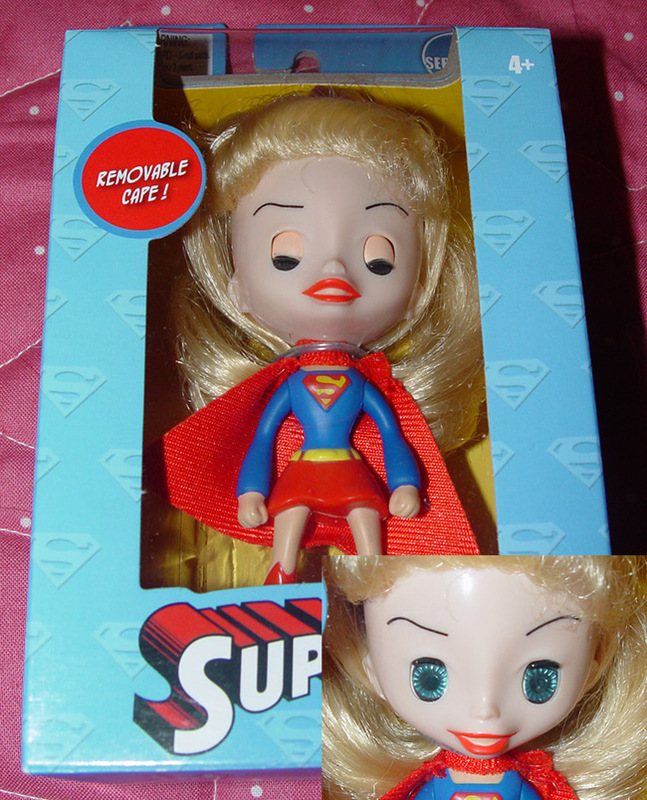 Supergirl has a removable cloth cape. 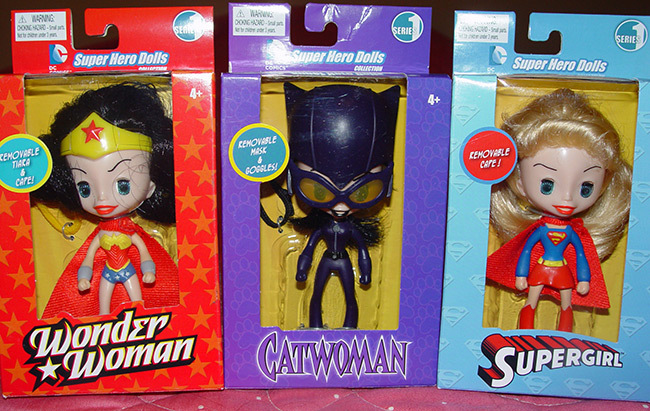 Based on those three, I would guess that Batgirl has a removable mask and a removable cloth cape. Articulation is limited to shoulders and a head twist. Each doll is about 4.5 inches tall, but the heads are about two inches of that height. These dolls are produced by The Marketing Store - you may have seen their previous toy work in your fast food meals. The dolls are packaged as Series 1, so here's hoping for a Series 2.